Sometimes we can get in the way of our own success and block the flow. We race after success without really knowing what it means for us; as a result, we are rarely successful because we are trying to live someone else’s dream of what success looks like. Instead, we contort ourselves in an attempt to align to their vision. This takes loads of effort and energy and the results are often disappointing. A maze of social pressures pulls us off course and distracts us from our true direction. The organization I used to work for defined success as: The harder and longer hours you work, the more successful you will be. I bought into it and this became my unconscious belief. Unwittingly it also became my work ethic for at least three years! I regularly threw myself on the altar of personal sacrifice for work. I worked extremely long hours in the belief that my superiors would recognize my sacrifice. They would value my effort and promote me. It didn’t happen; instead I became exhausted and unhappy. The harder I tried – the further I pushed success away. Looking back, I am so grateful for this happening because I realized I had been running around trying to GET promoted, but I had no idea why. It was something that I thought successful people supposed to want, and I wanted to be successful! In this crazy, reactive world, people run around grabbing at a chance of success: ‘Yes, success… I want that! What do I need to do… How can I be like them? !’Sometimes, when we try to get something, we don’t consider why we want it, and therefore, we only work on external factors to make it happen. I believe that success is a very personal thing. Everyone defines success a little differently. We are too busy comparing and competing with other people’s versions of success rather than carving and defining it for ourselves: ‘Why am I not as successful as them? I must try harder!’ It’s easy to become frustrated and disappointed when you perceive that THEY can do it much better than you! But here’s the thing…Of course they can! It’s THEIR definition…not yours! Once I realized this, my life changed completely. I was done constantly comparing and competing with EVERYONE ELSE around me. I got down to the serious business of defining success for myself. This was such a liberating moment because everyone else’s story that I’d been carrying around just fell away. The truth is that I started to become successful once I let go of following other people’s dreams of success and started to create and mold my dream for myself. Remember, success is very personal – it comes from the inside-out. Following someone else’s definition is like starving your soul of light. 1. Define YOUR OWN definition of success – Screw everyone else’s definition – we’re talking about you! You are a unique being on this planet. Stop trying to wear someone else’s shoes and ‘make them fit.’ What does success… look like, sound like and feel like for you? Maybe it’s flying 1st class to business meetings! Maybe it’s having a better balance of home and work life. 2. Claim success for yourself – Be the pioneer in your life. No one else does it like you. Become the leader. You can only do this by following your intuition and stepping out of the footprints of someone else, to create your own in the virgin snow. Intuition NEVER goes away – it’s always there guiding you to your higher self – if you’re prepared to listen to it. Be the role model for others. 3. Identify what you need – You grow into your success… (trust me on this one!) You don’t just walk around the corner and it is there, waiting for you. You have to nurture it. This requires self-awareness, vulnerability, openness, and a willingness to do things imperfectly. Also you need to stay true to you! I feel the most alive – it’s exhilarating! I grow to a whole new level of transformation. 5. Find someone to support and challenge you – There are so many coaches out there that are just focused on being supportive and helpful. While this is good, it doesn’t stretch you and help you to become the best you possibly can be. You want someone on your side that can support and challenge you… To claim your success – you need both! STOP racing after someone else’s definition of success and give yourself permission to create your own! Your successful life is waiting for you – Go deeper and start claiming it for yourself. Who’s definition of success are you working to right now?! Awesome post Elaine! It reminds me of one my mantras: that which comes easily to me is valuable to others. I spent so much time thinking that it was all about contorting myself to someone else’s standards and that it had to be “hard.” Thank God I saw the light! 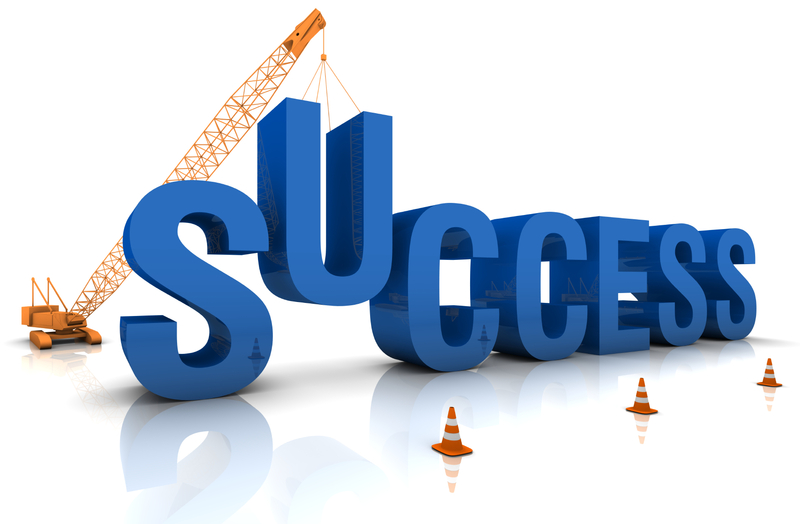 Fabulous post on how to really define success. I, too, like Karen worked all hours to live up to someone else’s standards! I have come to realize that I am creating my own success! WooHoo!!! Karen – Thanks for sharing and so glad you saw the light! I see a lot of people contorting themselves unconsciously and getting in their own way of success. Thanks for letting me know Al! Lauren – Thanks for stopping by and WooHoo!!! for creating your own success! It REALLY does make all the difference! ← Five Ways to Get Clear for the New Year!